It’s easy to add too much salt to a meal, but pepper? Bring it on! 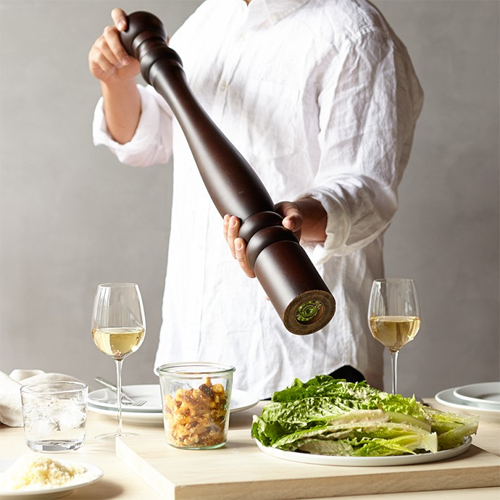 This Oversized Pepper Mill is designed to satisfy pepper appetites of all sizes — the bigger the better. Hopefully though, the pepper doesn’t make those at the table sneeze, otherwise, you may have to pick up some oversized dinner napkins as well. After a long weekend, it can be hard to go back to the daily grind. But, it must be done, so we go forth into the day and look that workweek right in the face — and sneeze in it. With a pepper grinder, that is. Pepper may make us sneeze, but it also happens to be a delicious spice. Putting a new twist on getting pepper from peppercorn to plate, the Fred and Friends Daily Grind Pepper Grinder offers a charming way to fend off those workday blues. 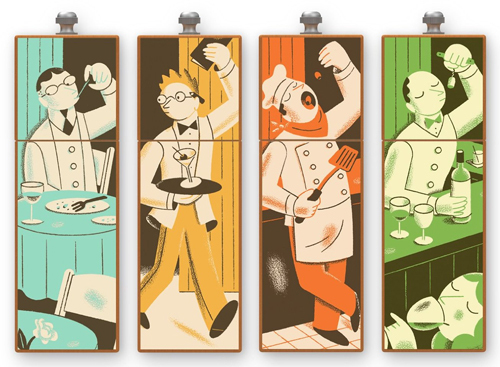 As the pepper mill grinds the spice, the bodies and heads of the restaurant staff get mixed up; the chef, wine sommelier, waiter and patron all become one. Bright and colorful, the whimsical beechwood kitchen tool offers a fun way to get back to the daily grind — by facing it head-on with a handful of pepper. Kitchen prep work requires some elbow grease; chopping, slicing, mixing and cutting can be hard work. Ah, but the work is worth it when a delicious meal is the result. Still, sometimes cooking can seem like a marathon. One that requires endurance. Such as the Endurance Vintage Nutgrinder . 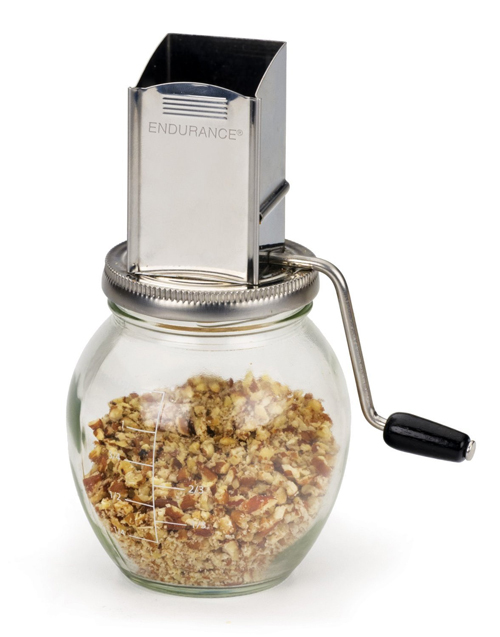 The 1.25-cup glass jar has a stainless steel hopper and a hand crank for manual nut grinding. It even has measurement markings along the side, so you can keep track of the progress — assuming you don’t stop for a ground nut snack along the way! Hands down, the most important spices are salt and pepper. When used properly, salt and pepper always deserve a round of applause. In fact, any chef not using salt and pepper should not only be given a wag of the finger, but also a slap on the wrist — and then be taken away in handcuffs. Good thing a handful of salt and pepper is never far away. 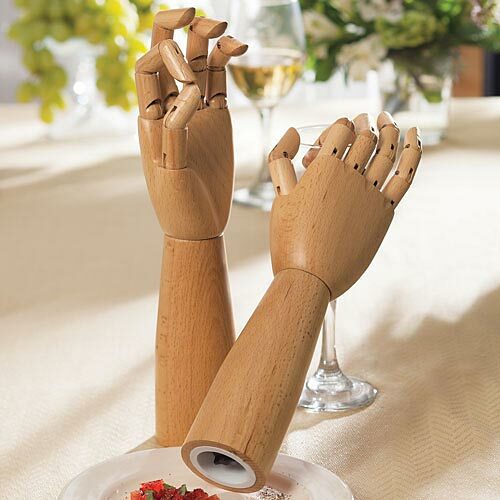 You gotta hand it to these Handy Salt and Pepper Mills, they really come in handy around the kitchen. Before, during and after cooking a meal, these handsome salt and pepper grinders handle the seasoning task handily. Available as a lefty or a righty, the hands look like an artist’s articulated model , but with the important distinction these hands are handing over the spices. Pretty neat. I’d sure like to shake the hand of the person who thought of this. And yes, they are handmade. Fine particulate matter like ground salt or pepper is usually not a good thing to keep around camera equipment. The individual granules work their way into every nook and cranny and clog and scratch what was never meant to be clogged and scratched. However, camera lenses are not the only thing designed to be twisted and turned; salt and pepper grinders and mills also share that same atribute. 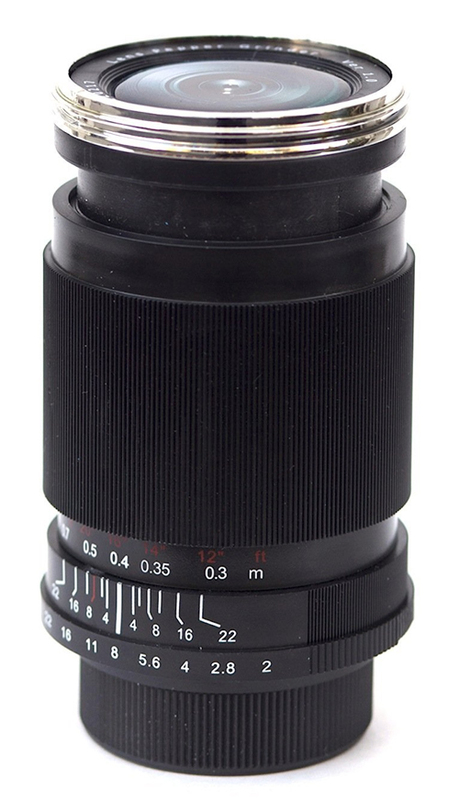 The Camera Lens Pepper Mill Grinder from Nuop is okay with small particles. In fact, it wants to help. Fill with peppercorns, twist and season. Taking care of camera equipment never tasted so good. Owls are well known for being wise; they are also famous for being able to turn their heads around almost in a full circle. The Boston Warehouse Animal House Owl Salt Grinder understands both of these properties. Although it is labeled a salt grinder, it would probably work just as well for peppercorns. And as everybody who is wise knows, freshly-ground pepper is vastly superior to that powdered stuff that comes in a shaker. To use, just twist to grind for fresh spices; and no worries, this little owl can turn its head all the way around!